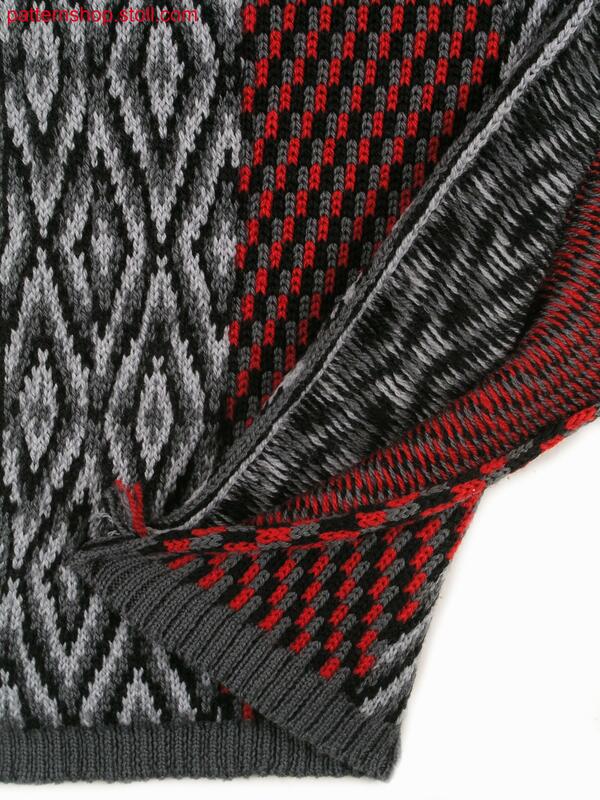 Two layer fabric (cross tubular) with two 3-colour float jacquards with all needles. 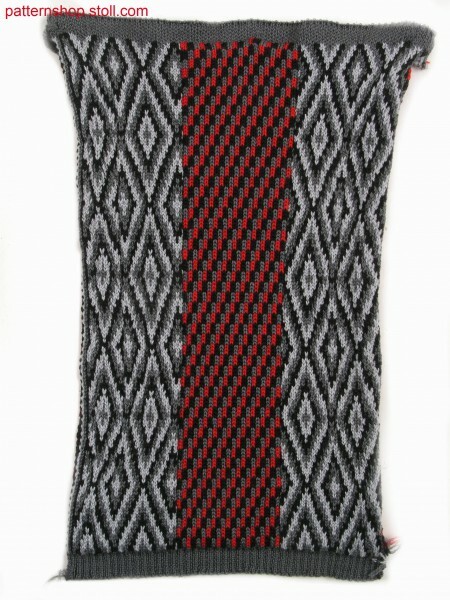 Layers are alternately knitted on the front and the rear. Zweilagiges Gestrick (Kreuzschlauch) mit zwei 3-farbigen Flottjacquards mit allen Nadeln. Lagen stricken abwechselnd vorne und hinten. 1 knitted fabric(s) / Strickteil(e) 7 min. 43 sec. 1.00 m/sec.